Children may spend an entire year waiting until they can return to their favourite summer camp. Their parents, however, may not be able to make the same financial commitment year after year; saving and planning ahead only go so far. Luckily, there are many resources available that can make summer camp a reality for all kids, no matter their financial situation. Some of these sources are surprising. 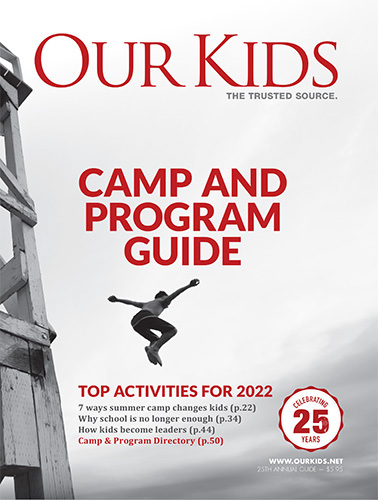 Here's a look at financial programs, charitable help, tax credits and other financial aid available to help families intent on giving their kids the summer camp experience. Just as the types of camps vary, so too do their fees. In general, traditional overnight camps can cost $300 to $1,000 per week, and day camps will run about $35 to $500 for the same period. This covers access to the camp’s facilities, meals, accommodation, medical services and supervision from a trained staff member. Depending on the camp, extras like transportation and laundry may also be included in the base fee. Optional programs, such as mountain biking or portaging, will raise a family’s camp fees anywhere from $30 to more than $200 dollars. Many camps also have tuck shops, where campers can purchase snacks and camp merchandise. Other costs may come in the form of supplies, equipment and clothes. If fees are an issue, families should look at what each camp offers and decide on a list of needs and wants. Often, the sooner parents register their kid for camp, the more they save. Families with more than one child attending enjoy sibling discounts, and referring other campers will earn them even more fee reductions (bring five friends and go to Camp Mini-Yo-We for free!). Some camps are also open to discussing individual payment plans with families. Sometimes Camp Ouareau in Quebec even accepts year-round payments. This past summer, Camp Qwanoes on Vancouver Island sponsored over 60 low-income children through their campership fund. A campership is financial aid given to needy campers. Decisions are made on a first-come, first-served basis, based on individual interviews that demonstrate a family’s need. 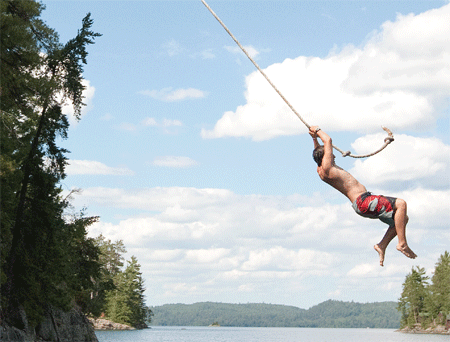 Some camps like Camp Ouareau have more formalized campership funds. Applications must be submitted before the end of December, and decisions are made in March, giving priority to returning campers. Almost all camperships require some monetary contribution from the family. Another valuable resource is a charitable organization whose mandate is to help send kids to camp. Kids In Camp was established by camp leaders who recognized the need for financial aid for children who want to attend camp. This charity works through accredited member camps of the Ontario Camps Association (OCA) to help fund campers and to ensure they attend camps that meet OCA standards in safety, leadership, facilities and programs. For almost 45 years, the Amici Camping Charity has been sponsoring camp experiences, starting when children are usually around 10 to 12 years old and lasting until they are too old to attend or until the need no longer exists. Both charities suggest connecting with their partner camps very early on to have applications in at the beginning of the New Year. They also encourage families to contact them if they are unsure if they should apply. Even though demand is high, Jocelyn Palm of Kids In Camp says she may offer more resources for financial aid to check out, such as other organizations, camps or individuals. Paying for camp is increasingly becoming a group effort. Grandparents, friends and colleagues can contribute to a camper’s fees. Kids can hold yard sales, do chores around the neighbourhood or save up birthday money. If parents are former campers, a great resource is their alma mater. Many camp directors give discounts or funding prioritization to the children of alumni, or even subsidize the cost personally. Parents should also research the Children's Fitness Tax Credit. It allows parents to claim up to $500 of fees spent on physical activities per child under the age of 16. For more information, consult the Canada Revenue Agency. It may seem like a lot of effort to put into a week or two of a child's summer, but camp directors insist that parents look at it as an investment in education. "Camp is the best way I know to develop a healthy independence in kids," says Michael Ankenmann, executive director of Camp Mini-Yo-We in Muskoka, Ontario.